Saturday, May 11, 2019, is the 27th Chicago River Day! This beloved annual volunteer day has an immediate impact and collectively brings about long-term improvements in the health of the Chicago River. Spanning the river’s 156-mile system with over 60 locations to choose from, there are many ways for people of all ages to get involved. The event will be held rain or shine. Registration is open. Look at the map below, click on a location, and register through the map. It's remarkable to think about how far we've come since the first "Chicago River Rescue Day" in 1992. That day, Friends hosted a small, feisty group of 25 dedicated volunteers who wanted to rescue the river by pulling shopping carts, mattresses, and plastic bags from its banks. Twenty-five years and more than 60,000 volunteers later, the Chicago River system is no longer a forgotten wildlife corridor filled with sewage and trash. Today the river system is vibrant, accessible, and alive with people, 70 species of fish, countless species of birds, and many native animals including beavers, mink, and turtles. Over the last two and a half decades, we have witnessed an incredible shift in the health of the river and how people care for it; our volunteers and sponsors help make this happen. Chicago River Day volunteers include company teams, community organizations, school groups, families, and individuals of various skill and ability levels throughout the Chicago metropolitan area. Join us to help remove unsightly and harmful litter, restore miles of river-side trails, plant beautiful native plants, and much more. Every year we choose an animal to highlight, one of the many who call the river and surrounding habitat home. In this way, we can focus on how the health of the river affects so many living creatures and our important role as stewards of the Earth we share. 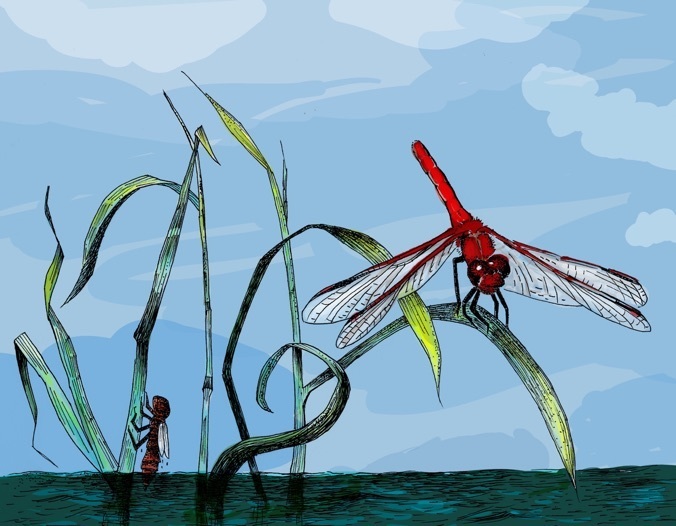 The 2019 Featured Creature is the Ruby Meadowhawk Dragonfly! Friends of the Chicago River is excited to celebrate our 40th anniversary of bringing the river to life, so to represent us this year (a nod to the traditional 40th anniversary color), we chose the Ruby Meadowhawk dragonfly: agile and efficient with amazing vision and focus. Dragonflies are key indicators of ecological quality as they need clean water to survive. And, in some cultures, they represent change. Here are 40 Key Moments in bringing the river to life we've put together to celebrate our 40th year together.